The use of Computational Fluid Dynamics (CFD) in the clean room industry allows users to gain insight into their designs with regard to flow patterns and flow fields, particulate dispersion characteristics, airborne chemical contaminates, and temperature uniformity. 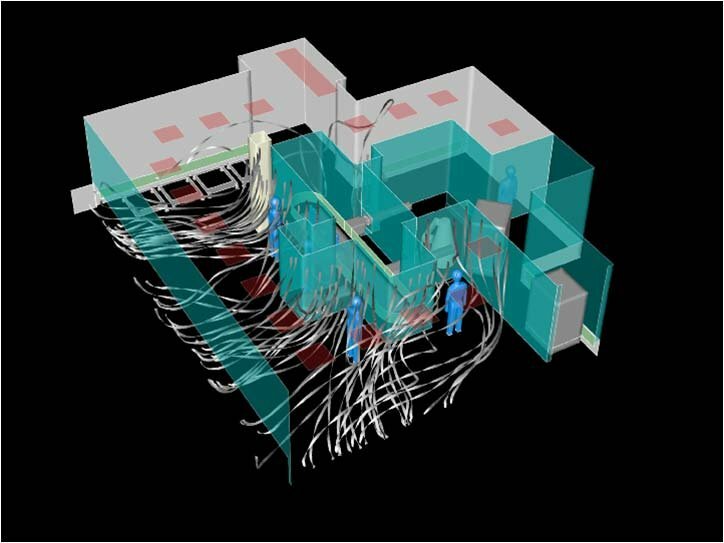 Better airborne particulate control and more energy-efficient clean room operation is made possible when the clean areas are evaluated using CFD. The results are depicted as 3D color graphics showing particulate and/or chemical concentrations, particle tracks, streamlines and velocity fields. The intuitive graphics allows even casual observers to determine the potential locations of vortices, recirculation regions, and adverse interactions between higher and lower classification zones. One of the fundamental advantages of CFD is that the analysis uses non-intrusive, virtual modeling techniques and avoids any disruption to existing manufacturing lines until an optimized design is found. 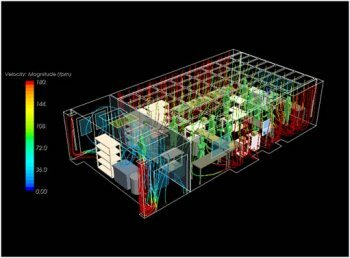 CFD analysis of particulate controlled spaces. Projected particulate loading in the airspaces. Calculation of flow fields and their effect on particulate control. Identification of recirculation zones and design features that may lead to detrimental air flow. Guidance for good air flow design in clean spaces.